American Ceramic Supply Company offers great discounts on all Skutt Kilns. Just check out these discounts! You can e-mail us at sales@AmericanCeramics.com if you need any help with technical support, best kilns and or specific shipping needs. When you buy a Skutt Kiln from American, we help you with your test fire! Really great and helpful customer service - With every ceramic kiln purchase - Free Test Cones and Free Assistance with Kiln Furniture Prep, Loading, Pushing Buttons and Checking Cone Results! We have the BEST Prices on Skutt kilns - check with us! - send us your full shipping address and phone number - and let us help you put together the perfect kiln and accessories for your business, school or home studio. Did you know Skutt includes an extra standard thermocouple with most of the medium and large digitals kilns - for FREE?! Need a Custom Kiln? Contact us via email. This link will take you to our Glass Web Site for the Skutt Glass kiln prices. If you are a ceramic business, school, institution or have a tax ID number for ceramics, please contact us with this information for wholesale confidential prices. Include model number, volt and phase and full shipping address. We will fax or e-mail you or your electrician with all necessary electrical requirements. If you are not sure which kiln would best suit your needs, e-mail us explaining what kinds of items you want to fire, how often, and where you would like the kiln. If you are in a home or older building, you will most likely need a 240V. If you are in a newer building attached to other stores, you will most likely need a 208V. DON'T GUESS! Have an electrician or your property manager put it in writing for you. 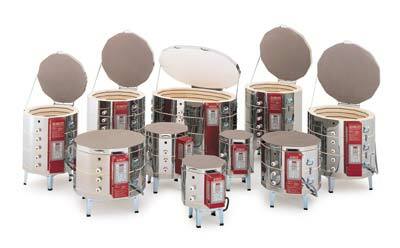 If it's wrong, it can cost you A LOT to have your kiln re-wired to meet those specifications. Most kiln prices do not include taxes, shipping, furniture kits, stilt packages or cone packages. Please request these items separately, as needed. We will need your full shipping address to determine your final cost. No PO boxes. If you are ordering outside of the United States, all customs and tariffs will be your responsibility, and must be arranged in advance. All orders must be paid in full before shipping.